Qrpets.com specializes in developing, manufacturing and bringing to market products for dogs. This includes high-quality handmade leather collars and leashes, with unique designs and functionality. We have created the patent-pending Shark Fin collar. And we will be showcasing our new GPS tracking system for dogs. 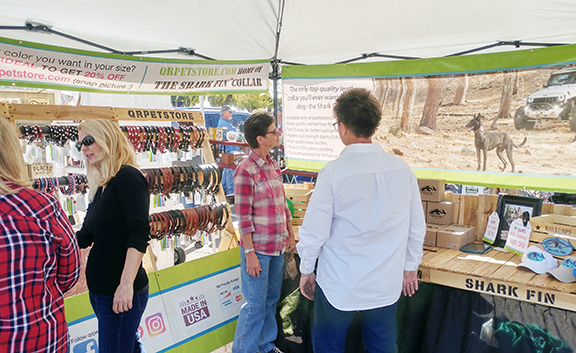 Come by our booth to find collars, leashes, natural treats and chews for your favorite furry pet!